Let’s take a look at the AAA PC gaming landscape for a second. We’ve got a handful of outstanding shooters that immediately come to mind: Overwatch, Rainbow Six Siege, Counterstrike: Global Offensive, and maybe a few others of which the comment section will not hesitate to remind me. There are also the “weirdos” like Rocket League and Hearthstone. Then in the RPG realm, we’ve got Witcher 3 and Dark Souls still going strong, along with some smaller titles that maintain impressive followings. Then you’ve got staples of the market such as Call of Duty, Civilization, Skyrim, DOTA 2, League of Legends, etc. 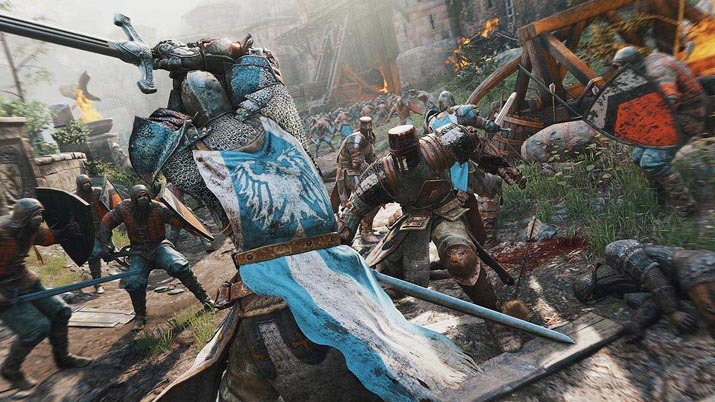 Absolutely none of the games listed above offer the same, or even a similar experience to For Honor, Ubisoft’s newest and most unique splash into competitive multiplayer. We’re dealing with a different beast entirely. 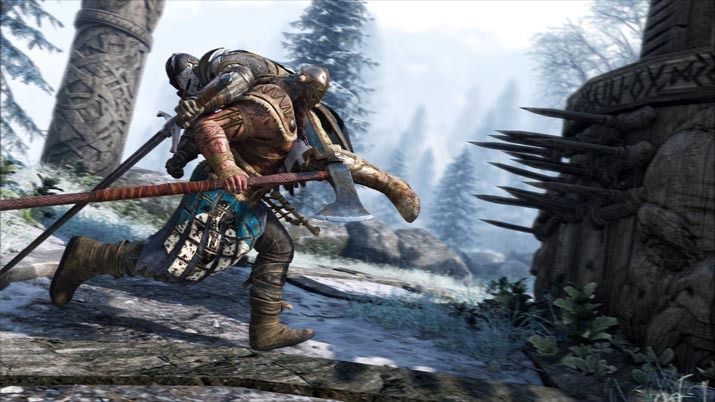 For Honor is a third-person brawler that has a melee combat system built around recreating the methodical yet reactive nature of medieval combat. You’ll be fighting as a Knight, a Samurai, or a Viking, all. Although the way you fight most resembles Dark Souls PvP gameplay, the focus on patience, timing, and execution just aren't seen in many other video games. Before I explain why For Honor can be so tough to learn, I’ll break down what the system looks like on a basic level. There are three different in-game factions, all of which have four playable characters and each of them has a brief list of Mortal Kombat-style attack combinations that take some skill to memorize and pull off fluently in the middle of battle. The gameplay itself breaks down into a rather new format that most players won’t be familiar with. The guardbreak is in the game so that fights don’t devolve into an endless stream of blocks. It’s used to make your opponent defenseless for a brief moment, just enough to sneak in a quick hit and start in on a more elaborate combo. This can be countered with some quick reflexes, but at this point, the window for you to respond seems quite small. For Honor isn’t just a game that I played, it’s a game with which I have had a relationship. There’s been a back-and-forth, some highs and lows, and more than a few screaming matches. And, in this case, “screaming match” is just me quite literally screaming at my monitor for the duration of a match in For Honor’s multiplayer. The last time a game frustrated me this outrageously I ended up putting my computer on timeout for a few months. Thankfully, I didn’t allow For Honor to bring out that kind of fury… not yet, anyway. Even with it being brand new, there’s already a gang of players out there that have mastered every move in the book and are ready to start obnoxiously emoting the moment they toss you off a cliff two seconds into a fight. This where a lot of people may be turned away from For Honor, when they realize there’s a bit more nuance than all the game’s decapitations would imply. With every character having a different set of moves and overall playstyle, you’ve got to figure out how to smoothly perform your combinations while also learning all the ridiculous tactics that everyone else presents. I found myself sticking to the Viking Warlord, who carried a sword and shield and attempting to learn about other classes through him. It seems like there’s just too much to memorize to do it any other way. I appreciate how individual every class feels. They could have just said “give each faction a big guy, a little guy, and a medium guy,” but they decided to incorporate a variety of playstyles into the game. It means there’s a lot to learn, but it’s going to mean a lot for its longevity. It takes a little while, but once you’re able to start parrying attacks and putting your opponent on tilt, For Honor is a blast. But when you’re the guy having every one of your attacks interrupted, it can feel like you’re just repeatedly failing QuickTime events, which can drive a player (me) crazy. The core gameplay of For Honor is imperfect, but satisfying and fun for the most part. There are 12 playable classes and six maps. It’s not a ton of content, but this game is far from barren, especially when you consider how much time players will need to put in just to “get gud” as they say. Some of the secondary features of the game are lost on me. I’m not sure their equipment system adds all that much to the games overall experience other than giving the player a tail to chase. It provides more opportunities to throw the game off balance, which is what worries me most. Some of the equipment looks great from an aesthetic perspective, but I almost wish that’s all they were there for. I didn’t get this game to put together a sweet build on my character, I wanted to build my skills with that character. Even though I like the concept they’ve presented with their ongoing territory-struggle, the system just doesn’t have all that much to it. 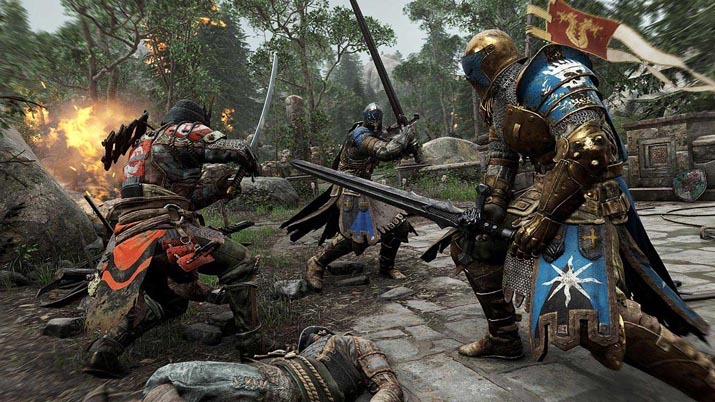 Rather than the competitive seasons play out arbitrarily, For Honor’s three factions fight over territories represented by the three game modes: Duel/Brawl, Deathmatch, and Dominion. It may get more interesting in the future, but right now, everyone is just randomly pouring “war assets” (points generated from playing multiplayer matches) into random blocks of land on a map. I feel no connection to the war being represented on that map when I’m actually playing, so I rarely even think about where I’m distributing my war assets. 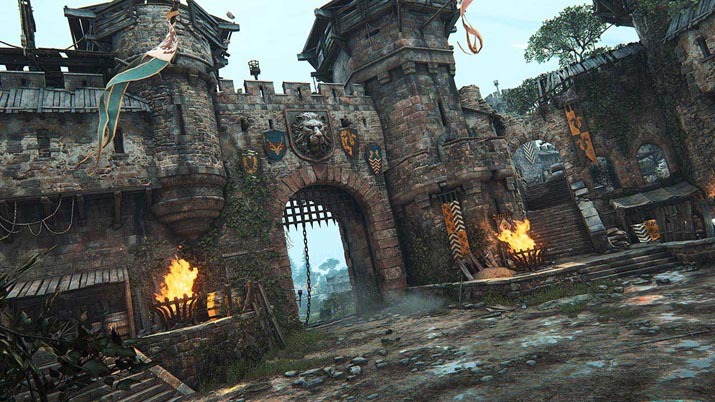 The single player aspect of For Honor is one of the weakest aspects of its development. The PC community seems rather divided on whether or not we want a quickly slapped together single player experience slapped onto a multiplayer-focused game, or have them bypass the solo experience altogether and put all their effort into the competitive features. After playing For Honor’s extended tutorial disguised as a single player story, I can certainly tell you which side of that fence I fall on in this case. Although I appreciate the effort they’ve put in to make the entire campaign playable cooperatively, the awkwardly delivered cutscenes and overall half-baked attempt at storytelling made the campaign a generally boring playthrough. Functionally, however, the campaign does what it needs to do: introduce the player to a variety of playable characters, show them some of the essential moves, and make sure players have seen a little bit of everything before they jump into competitive matches. I almost wish they would have ditched all the storytelling and just set players up with some fun scenarios to fight through. I never cared about any of these faceless characters, I don’t remember their names, and I barely remember what happened. My advice to players would be to skip cut scenes and approach missions with the purpose of working on the fluidity of combos and memorizing the moves of other character classes. 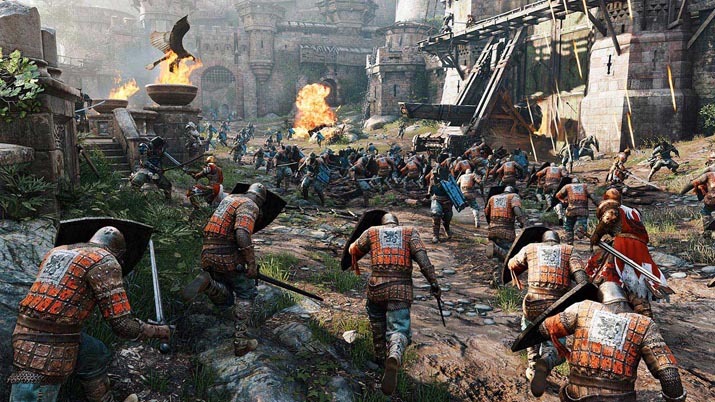 Since the limited alpha and beta access periods that Ubisoft allowed, For Honor has made noticeable strides in getting the game optimized and ready for launch when it comes to how it handles your machine’s hardware. It looks excellent from a technical standpoint, with detailed character models and some really engrossing levels to hack and slash your way through. I didn’t notice nearly as many frame dips as I did in the beta, and most everything looks really good on my end. It’s with Ubisoft and their rusty stacks of warehouse shelving they call “servers” that the problems really start to show themselves. I was dropped out of numerous games and randomly cast out from my party. I’m not going to pretend to be an expert on these kinds of network issues, but I know that this P2P server system is awful… just awful. If Ubisoft intends to expand on the game’s competitive elements, this needs to be rectified sooner than later. For Honor is a good game. It’s taken me a while to get here, to a place where I can calmly say nice things about For Honor, but I’m glad I made it. When I first told people about my experience with the game, most of the interaction was spent stressfully stroking my forehead, trying to figure out whether or not I want to tell them to play it. And in some way, I’m still stuck in that place because I do not believe that this For Honor is a game that everyone is going to fall in love with. There’s more learning to be done here than most gamers will want to deal with. And in that learning period, you get to watch yourself get repeatedly mutilated and humiliated. But then there are those moments, the ones where the odds are stacked against you but you find a way to turn that 2v1 into a victory, that you feel like a goddamned king. Nailing a difficult headshot in a shooter can feel good, there’s no doubt about that. But there’s not much out in the PC gaming market that can give me the kind of rush that a close match in For Honor can. The biggest concern is that the learning curve is going to scare off too many players before they get to the good stuff, the thrilling stuff, that there won’t be much of a community to play with in the future. 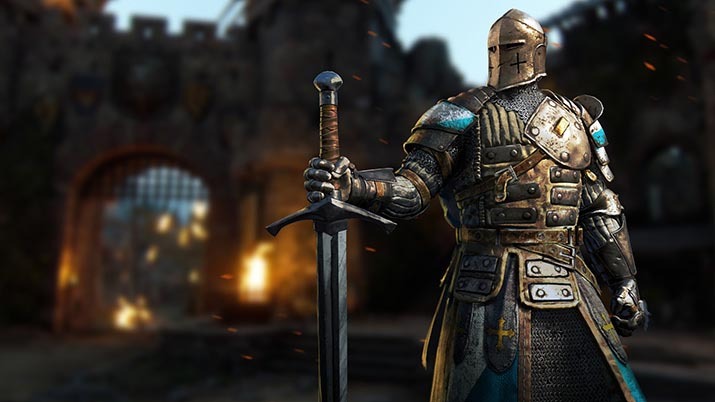 If Ubisoft does a decent job of updating and balancing the game, we could see For Honor with a consistent base of players for the next couple years. 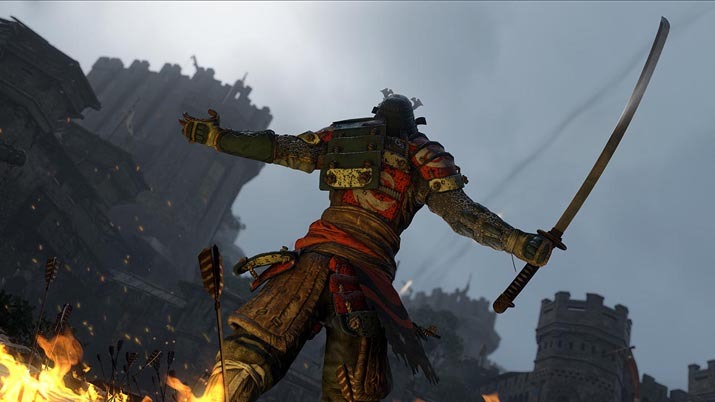 If not, For Honor might become a small, inaccessible community that is as unfriendly as it gets to new players that don’t know what they’re doing. Future development of this game is going to require attention to detail, something that Ubisoft hasn’t shown in recent memory. I really hope that’s not the case, as it’s so refreshing to see something a little more ambitious, a little more outside the box from such a big industry player such as Ubisoft. I can’t promise that this game is going to continue to be a massive hit in the future, but I know that it may be worth it to give it a try in the spirit of encouraging companies to make interesting choices like For Honor. It’s far from perfect, but it does enough right with a cool concept to make it worth your time and money. We’ll see how things progress, but For Honor may have dug out a cool little space for itself in the multiplayer games market that we didn’t know was there.